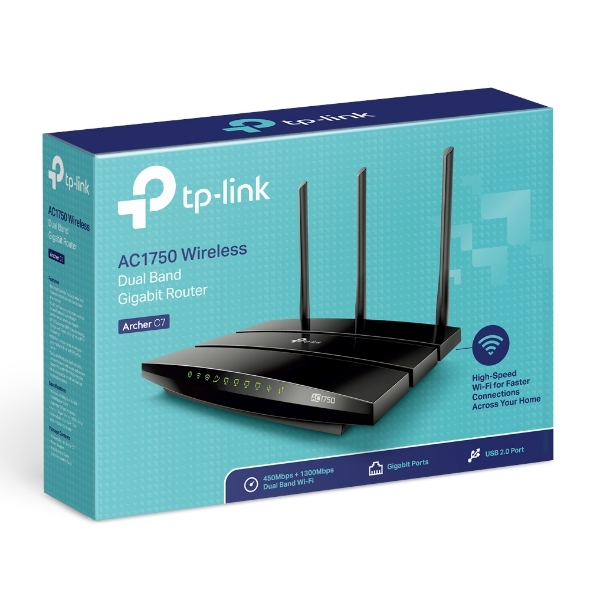 *A review of dozens of wireless routers by the New York Times in collaboration with The Wirecutter concluded that the Archer C7 is the best option for most consumers. 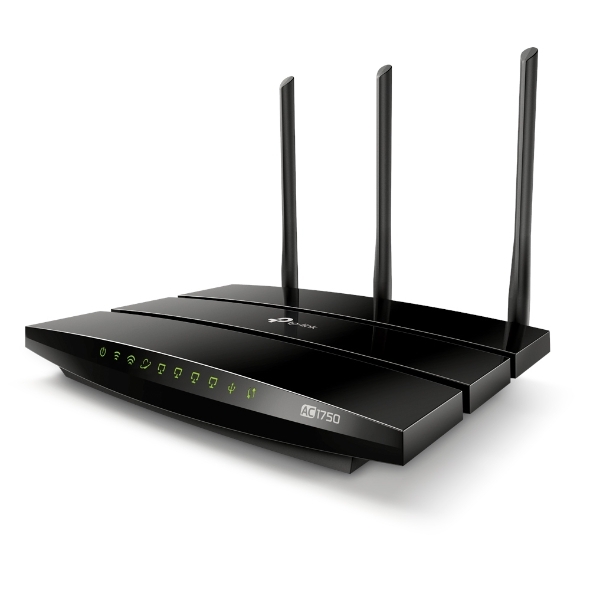 The Archer C7 is a fast 802.11ac router with incredible range. It's better than many routers that are twice as expensive. This advanced Wi-Fi is designed for high-traffic online activities and can help to run applications at triple the speed of the previous 802.11n standard. 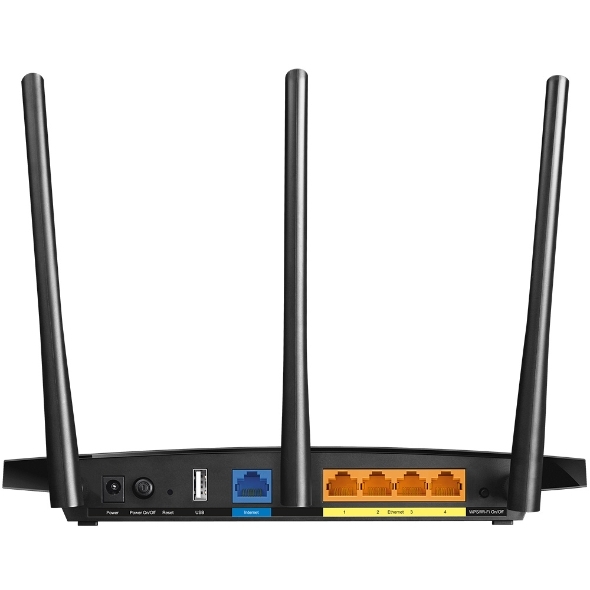 The Archer C7 operates both the 2.4GHz and 5GHz bands, ensuring amazing wireless performance. Simple tasks like sending e-mails or web browsing can be handled by the 2.4GHz band while bandwidth intensive tasks like online gaming or HD video streaming can be processed by the 5GHz band – all at the same time. Three external antennas with advanced connection technology allow you to maintain impressive speeds. With antennas serving both the 2.4GHz and 5GHz band, you can enjoy incredible wireless coverage and reliability in any part of your large home or office. The crystal clean 5GHz band is ideal for HD streaming and gaming, creating a blazing-fast network. The 2.4GHz band provide stable and strong Wi-Fi signal for everyday tasks, like browsing and surfing. A USB 2.0 port makes the Archer C7 a truly resourceful gateway. Share a hard drive full of media through your home network, or via an ftp server whenever you’re away. With one Gigabit WAN port and four Gigabit LAN ports, speeds can be up to 10× faster than standard Ethernet connections. 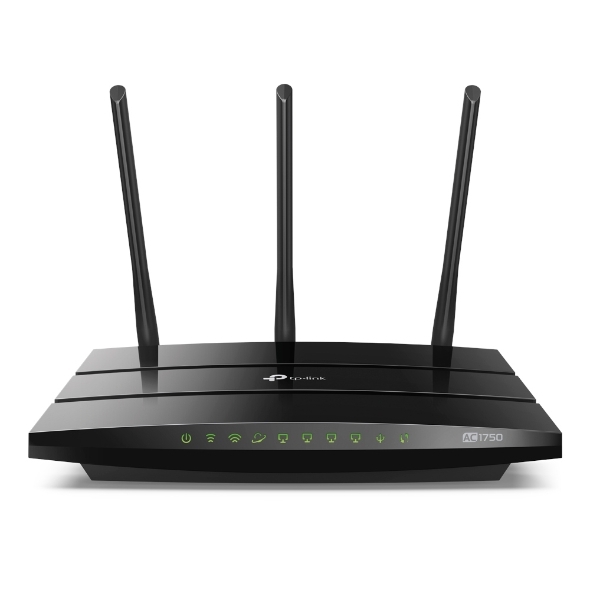 The Archer C7 is a powerful hub to support a robust and extremely fast wired network. Supports IPv6, the next generation of Internet protocol, helping you to future-proof your network. Prioritizes devices or applications to give faster performance where you need it.